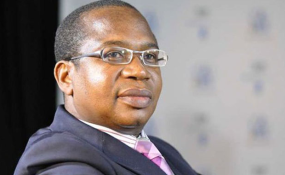 Finance Minister, Mthuli Ncube has admitted government lived beyond its means as he urged locals to be patient with his controversial fiscal measures blamed on triggering runaway price increases in a volatile economy. In a briefing made Sunday, the under-fire treasury chief also distanced his 2 percent electronic transfer tax from surging foreign currency black market rates. Ncube said his transitional stabilisation programme was his sincere attempt to rid the country's economy of a crippling debt plague that has held back crucial economic progress. He said his first step to redressing the situation was the current attempt to deal with a recurrent external debt. "External debts have complicated the local banks' capacity to raise source funds to finance our industry and in the long term, job creation is not easy to come by. "That is why in our solutions, we have suggested to come up with a credible arrears clearance strategy," he said. Ncube said the International Monetary Fund and the World Bank have since endorsed his stabilisation programme and expressed confidence that by this time next year, a lot of progress would have been achieved. "So this will solve the issue of building credit lines globally," he said, adding that he was putting measures in place to trim government's giant expenditure. "An analysis of government's expenditure based on revenue collected through the Zimbabwe Revenue Authority shows that our government is overspending by 10 percent, which is far too high. "We need to live within our means and such a budget deficit must be reduced to a single digit." Commenting on the impact of the newly introduced 2 percent tax, Ncube maintained there was no relationship between the much resented levy and the galloping forex rates which at one time in the past two weeks, went above 500 percent. He noted that the black market is being driven by speculation and fear which in end pushes the rates and prices higher.